With such a hectic work schedule, I don’t have a lot of time to venture out around NYC during the day – in fact, I rarely go out on the town before 9pm. But when I started seeing all the #foodporn coverage happening with the Madison Square Eats food festival, I cancelled my weekend work plans and made an exception. Curated by Urbanspace, Madison Square Eats is a semiannual popup market located at 5th Avenue between West 25th and 26th Street. 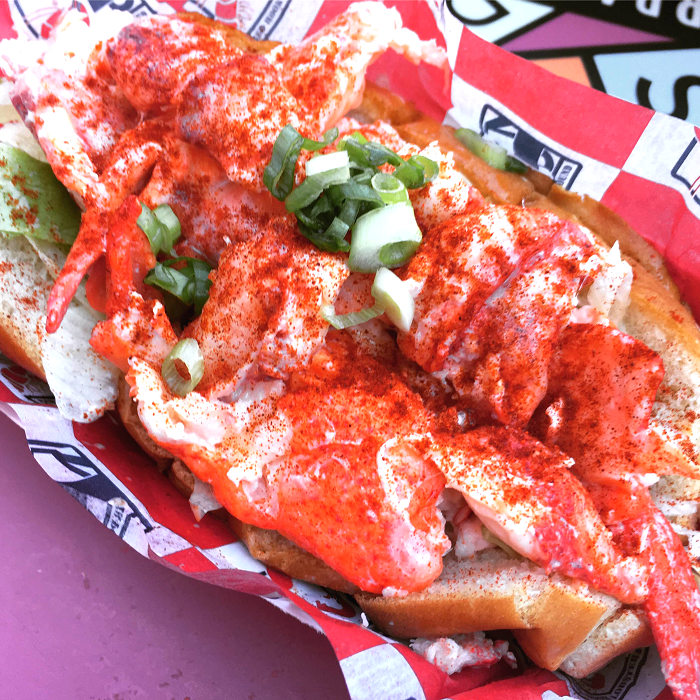 For a few weeks during the spring and fall, New Yorkers can stop by and order photo-worthy food from a talented lineup of vendors. Some of this season’s vendors included The Paella Shack, Mr. Bing (Beijing Street Foods), Gotham Poke, Robertas, and Bar Suzette Creperie. With the help of my friends Rae and Em, I was able to sample several amazing dishes. 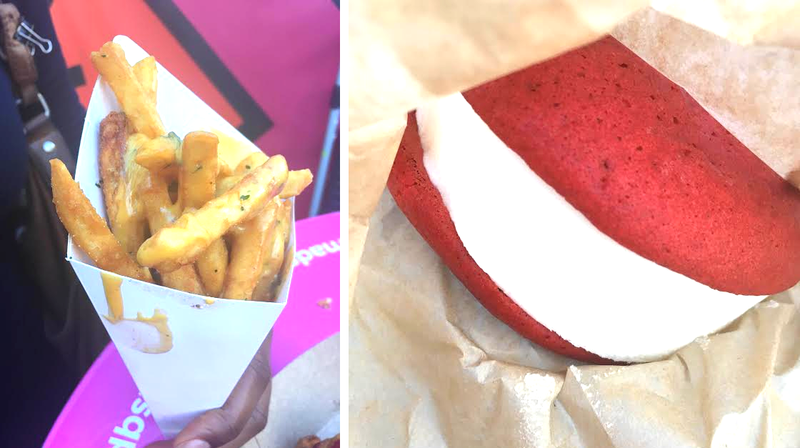 (But I’m seriously jealous of everyone who works in the area, because they’ve been using their lunch breaks as an opportunity to taste every vendor over the course of the festival.) It was also perfect weather for a Saturday afternoon of walking around, and the Flatiron District looked particularly gorgeous that day. 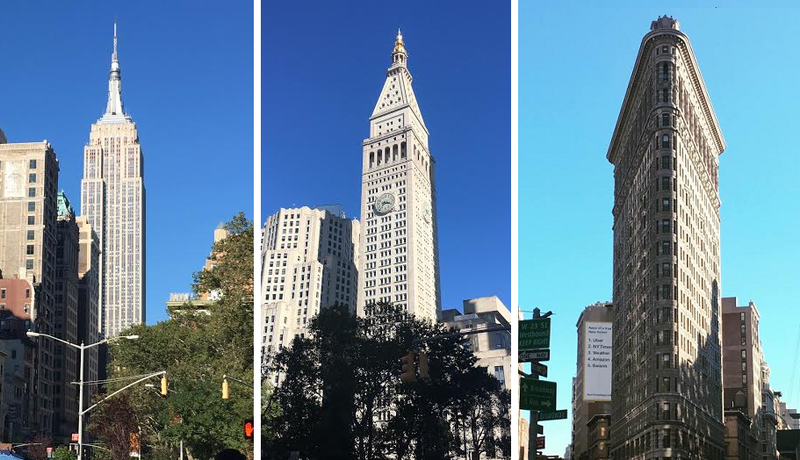 I never get tired of looking up and seeing beautiful structures like the Empire State Building, the Met Life Tower, and the Flatiron Building looming overhead. Anyways, enough of that. Let’s get to the food. 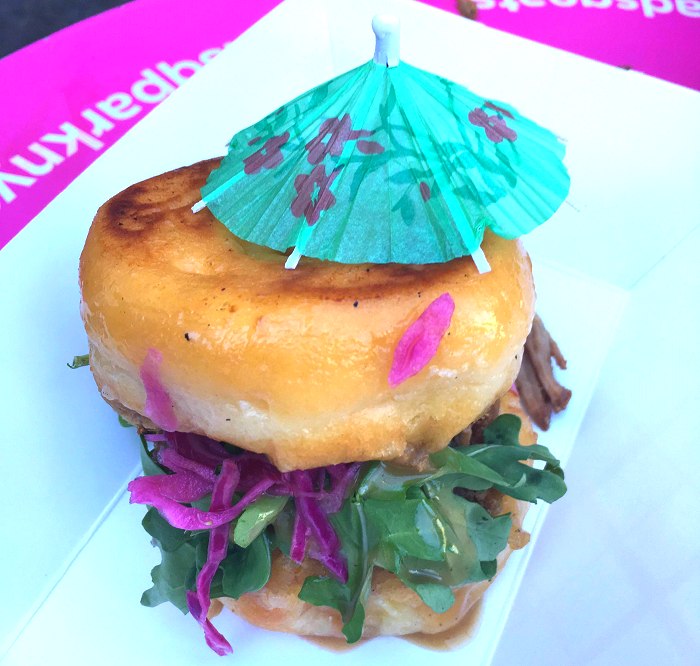 …And Rae ordered this pulled pork sandwich on a freakin’ GLAZED DONUT, also from Jicama. When you’re a starving artist, lobster isn’t exactly something you get to eat on a regular basis. 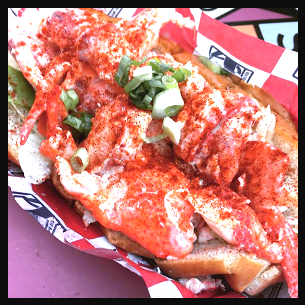 But I finally got my annual lobster roll fix, courtesy of the Red Hook Lobster Pound. Last, but by far my favorite part of the day, was stopping by the Ice and Vice stand. Seriously… Ice and Vice… I love you so much. This place is basically half gourmet ice cream makers and half mad scientists (have a look at their menu and you’ll see what I mean). After standing in front of the booth for about 20 minutes, looking like a complete idiot, I finally decided to go with the strawberries and cream shaved ice sundae. It was the last warm weekend of the year, I was craving shaved ice all summer, so I was all about it. Plus, shaved ice AND ice cream? Holy crap, yes. 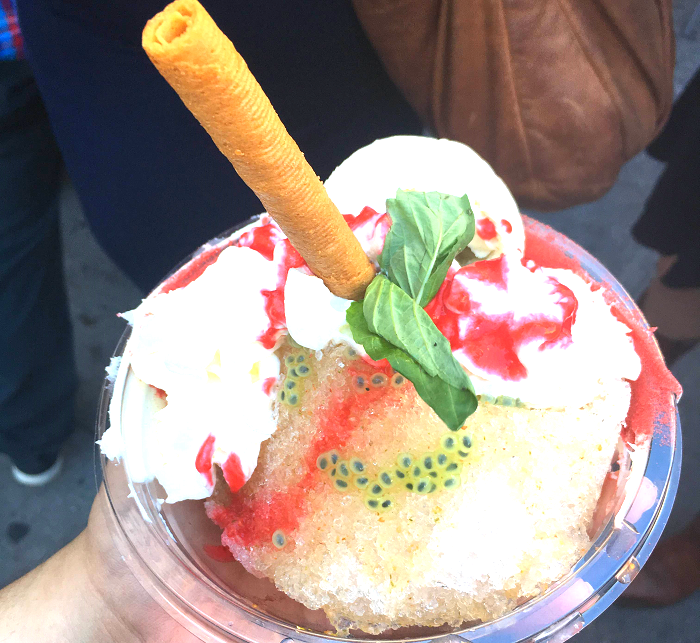 This ridiculous concoction was a bowl filled with strawberry basil shaved ice, “Basic B” ice cream (Mexican vanilla and black lava sea salt), strawberry puree, basil seed, basil sugar, a frosting-smeared rim, and a pastry cigar. You have no idea how happy this thing made me. My newest favorite dessert place in NYC? DEFINITELY Ice and Vice. 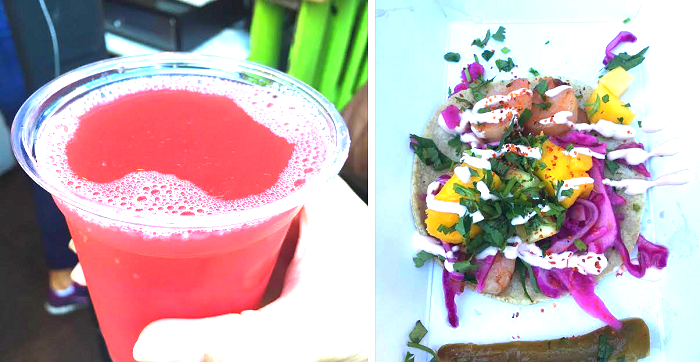 If you’re in the city and want to check out Madison Square Eats, this is your last weekend to come down and pig out! Visit Urbanspace for more information or follow along on Instagram with the #madsqeats hashtag.